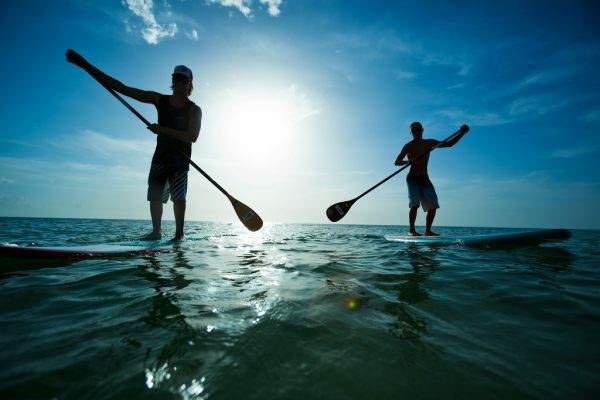 Paddle sports continue to grow in popularity in America, according to a report by The Outdoor Foundation. Over the past three years stand up paddling was the fastest growing sport, increasing by an average of 26 percent per year from 2012 to 2015. Kayak fishing, white water kayaking and sea/tour kayaking also saw some of the biggest participation increases during that time. When asked what sports interested them most, adults of all ages listed camping and bicycling among their top three choices. the year, increasing by 24 percent. Adventure racing, non-traditional triathlon and trail running were also among the year’s top trending outdoor activities. Nearly half of all Americans — 48.4 percent — participated in at least one outdoor activity in 2015. That equates to 142.4 million participants, who went on a collective 11.7 billion outdoor outings. While the actual number of outdoor participants increased by one million over the one-year period, the overall participation rate remained the same due to population increase. Aspirational participation, which measures the physical activities that interest non-participants, showed that Americans are often drawn to outdoor recreation over sports, fitness and leisure activities. In fact, all aspirational participants — regardless of age — reported camping and bicycling in their top three most appealing activities. When asked what activities interested them most, children from 6 years old to 17 listed camping, swimming and bicycling in that order. Young people ages 18-24 said camping, bicycling and swimming, while adults 25 and older said running/jogging, fishing and hiking. Bird watching and wildlife viewing were also popular with adults, less so with children. The Outdoor Foundation produces the Outdoor Recreation Participation Topline Report to provide a snapshot of American participation in outdoor activities with a focus on youth and young adults. The report is based on an online survey of 32,658 Americans ages 6 and older and covers 114 different activities. The survey is produced by the Physical Activity Council (PAC), a partnership which includes the Outdoor Foundation (OF); National Golf Foundation (NGF); Snowsports Industries America (SIA); Tennis Industry Association (TIA); USA Football; United States Tennis Association (USTA), International Health, Racquet and Sportsclub Association (IHRSA); and Sporting Goods Manufacturers Association (SGMA).